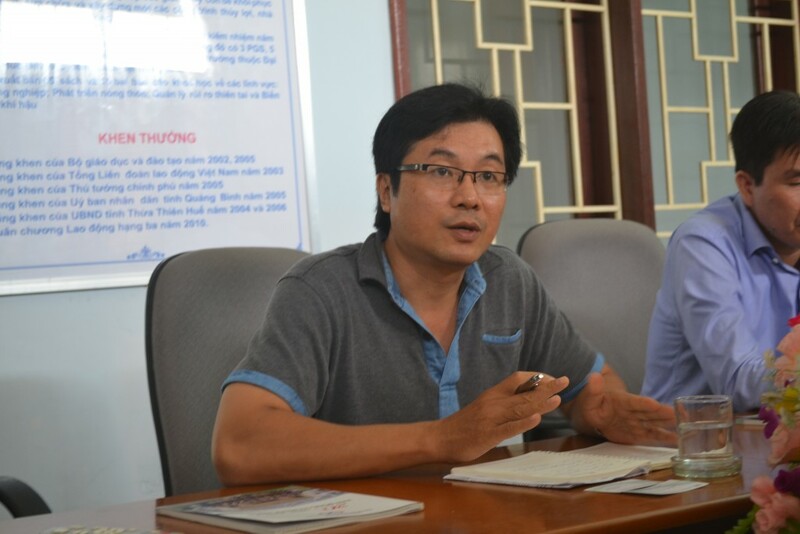 In the morning of March 30 2016, Save the Children International (SCI) in Southern Vietnam paid a visit to the Centre for Rural Development in Central Vietnam (CRD). Representing SCI were Mr. Nguyen Van Hue, Regional Manager of the South and Mr. Le Quang Nguyen, Thematic Manager on Child Protection & Child Right Governance of Save the Children. Mr. Nguyen Van Hue expressed his need to learn about CRD’s interested issues in search of cooperation in the field of child protection in the coming time. At the meeting, the leaders of CRD introduced about its activities and achievements throughout 20 years as well as the development strategies of the Centre. After the meeting, the two sides have reached a consensus on the focus on fighting against child abuse in the Central region.